The RSTuner kit allows you to unlock your Renault's hidden power. Simply plug the interface in between your laptop and your car's OBD diagnostics port, and within minutes you can upload one of our performance maps to give you additional engine horsepower. No cutting, wiring, or other such modifications, simply plug-and-play and enjoy the unlocked performance. 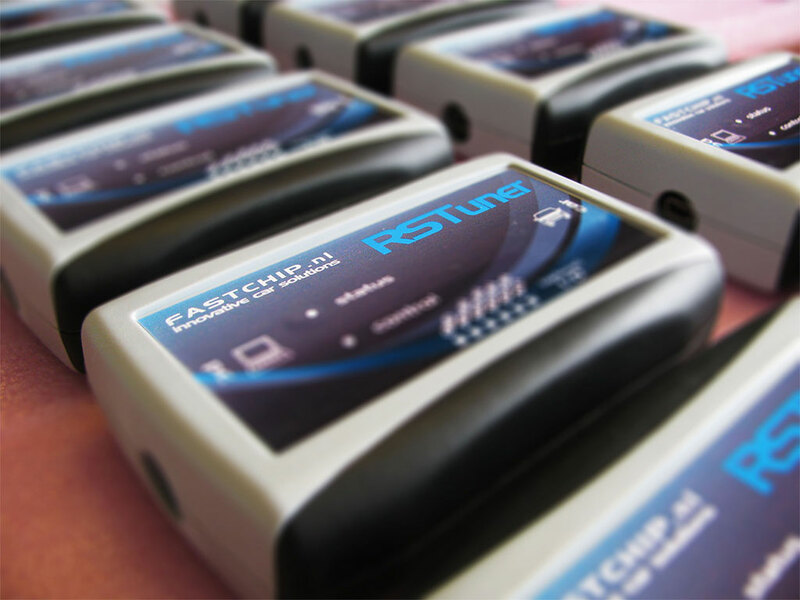 Fastchip Stage1 map is included with every purchase that will give instant performance gains between 1-40 Horsepower (depending on the car type) , over stock levels. Also gives you the ability to easily change maps as you upgrade to new parts for your car. All possible with a few mouse clicks with the RSTuner kit! Our staged maps are developed in house and tested on a Dynojet single roller rolling road, to guarantee top quality. 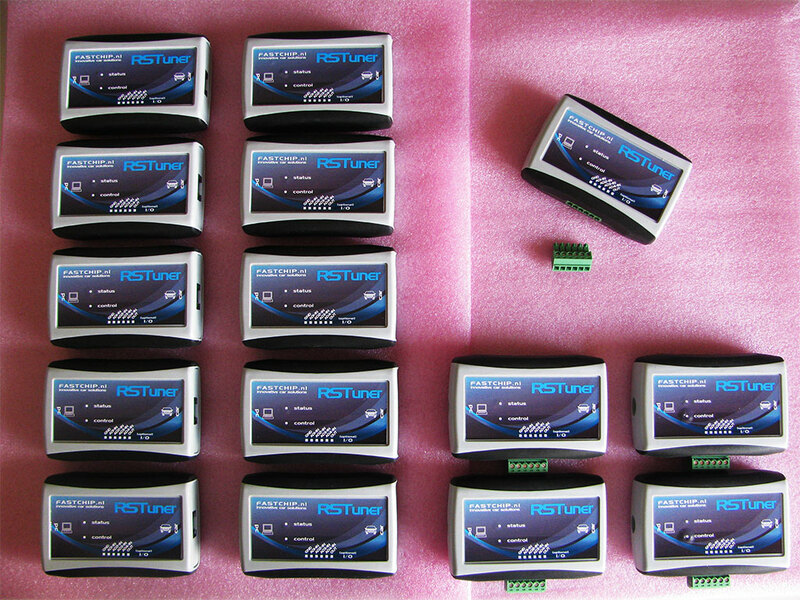 RSTuner is provided on the understanding that the user appreciates and understands the responsibilities in regards to reprogramming the ECU. User must have a good knowledge of the English language as the software comes in an English version only ! Our Pro model accepts up to 4 external sensors (0-5 V) such as Wide Band sensors, right into our auto-scaling Live Data datalogger. You will have real time data from those sensors integrated with your standard engine ECU Sensor Data for easier understanding. The Premium model comes with a built-in 'Flight Data Recorder' which can record many hours of engine live data without the use of a laptop, simply by pressing the control button. During trackdays all data can be recorded and later reviewed at home from your PC. 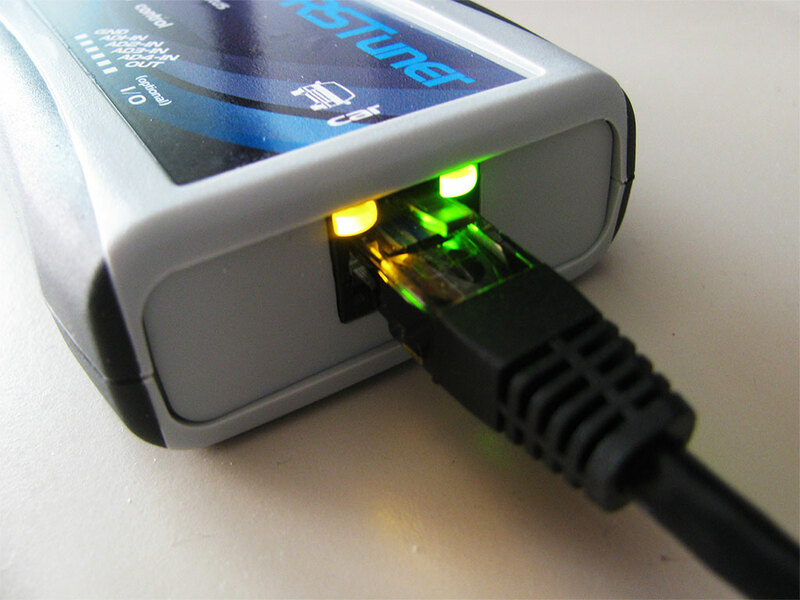 External trigger port can be set to every available live data parameter. This way it can be set up to be a shift light, knock warning light or an IC waterspray trigger. Or anything else that you find useful. Other modules All other modules are compatible with all RSTuner variants. Visit the modules section of our shop to see all available modules to extend the functionality of your RSTuner! Map / calibration Fastchip Stage1 map - instant performance gains between 1-40 horsepower (depending on car type) over stock levels. In short, all you need to get started with tuning your Renault! Vehicle: The vehicle model the RSTuner will be used on. The four characters you see listed (e.g. CB**) are the first four characters after "VF1" in the VIN. Example: VF1CB220605829478. Your VIN is your chassis number starting with 'VF1". Look onto your car registration or door sticker. Modules: select the optional module you wish to purchase to extend the capabilities of your RSTuner (more modules are available, see the modules section in our shop for detailed information). Additional modules can also simply be added to your cart, the dropdown menu here is added for your convenience. All the reviews are spot on. I am on my second honeymoon with my Clio IV RS again. Love your work Henk. 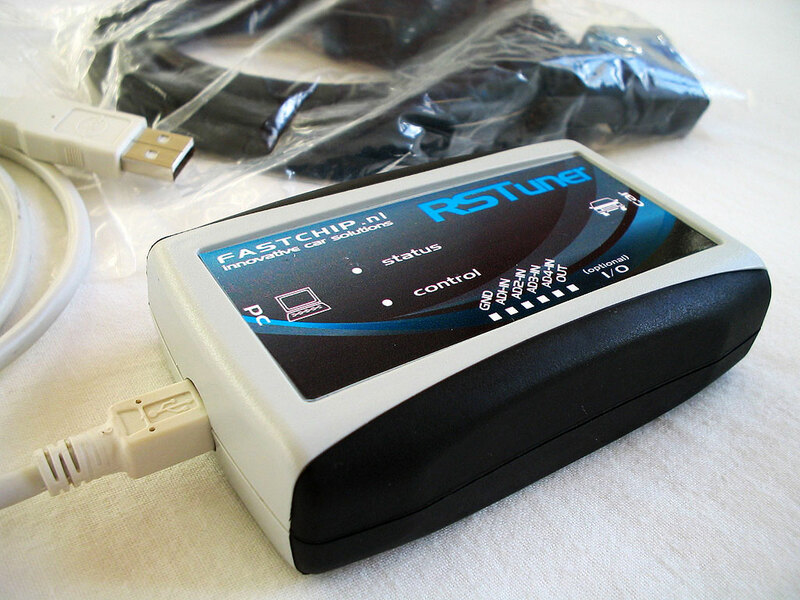 I used the RStuner VCI to update my stock ecu cal. file on my (53) RS Clio with the stage 1 (98ron) cal. file. The update took only a few minutes & my car has been totally transformed... It now seems to have more power & more torque, especially in the low to mid rev range. ? In addition to this it now also handles corners far better than it ever did before, the increase in torque totally eliminates any oversteer issues & causes the car to understeer more which in my opinion is easier to manage. ? Awesome, ? % recommend. BillyClio, UK. ?? Hello all, I ordered the kit for my Clio IV 200 and the results were great and noticeable right from the first drive after the cal file was loaded. You won't find a bigger performance gain for the money on any other performance mods. Using the software was easy and Henk answered my questions normally within 24hours. The instructions provided give plenty of detail to make the whole thing as stress free as possible. My friend has also brought a kit for his Megane II RS225, its also seen big gains. So from that I can say I recommend this product for sure. Excellent product. I'm no technician but the instructions were simple enough to follow. Henk helps wherever he can, too. There is no better value product on the market for Renault. Period. Thanks for all your help and support Henk! Awesome hardware, easy to use software and the provided 98ron .cal @ no added cost! And what a difference it made to my 172, best performance mod yet! Cant wait to try out the overrun map! Fantastic bit of kit and easy to use, a must for every Megane 225 owner. Added the ABS module which is brilliant and have now increased the mph threshold for the ESP activation.rnJust buy one and see! A very good tool!! very happy!!. Brilliant service can't recommend enough. The throttle response now is amazing! Just received my Rstuner and loaded the performance map on my R26 Megane Sport. The power gains are incredible...it is running so strong, I couldnt be happier. Thanks Henk for all your help, Im truely amazed at the difference! This is a MUST have for anyone who ownes an RS. The Diagnostic tools are excellent!! The RSTuner is very user friendly... anyone can use it. Also very safe!! The Performance upgrade on Fastchip's Calibration files are GREAT!! You will feel an immediate power increase!! EXCELLENT EXCELLENT product!! Best value for money ever!! Excellent product! Powerful diagnostic tool! I had an issue with boost cut, Wit the RSTuner's Log Henk was able to pinpoint the problem area. Turn out I had a boost leak around a sensor. This tool is worth it for the logging alone! rnrnThanks Henk! what a difference my clio feels, no more lumpy idle,and it feels and drives so smooth,and when planting my right foot it pulls really nice, and the throttle responce is alot more freely for sure, the clio feels alot healthy. Finally got a performance calibration for my Megane RS 250 Cup, the result is fantastic! The car keep accelerating with huge of torque from 3000rpm to red line. RS Tuner transform the Megane RS 250 to a true Focus RS Killer. Will explore more on the track later on. Excellent product and fantastic results. Was a little unsure being from New Zealand but Henk is very professional and helpful. A must have mod for any RS owner. Excellent product, very easy to program your Renault by yourself and you also get diagnostics and performance analyzer. My Clio is much more snappy now. Livraison super rapide. Commandé Mercredi et reçu lundi très bien emballé. Utilisation très simple, reconnaissance immédiate sur la Clio 3 rs. Mise a jour du boitier avec le downloads du site en procédant comme ils expliquent (chargeur sur la batterie pour éviter qu'elle se vide pendant la manip) sans problèmes. Ensuite, Up du boitier avec le fichier performance (cal) en 3 minutes nikel. Effacement de 6 codes erreurs a ma grande surprise! Vraiment du très bon matos. This is an amazing tuning tool for Renault cars. I can say that is better than vag com tool. I'm using it for data logging and it's very fast as it logging a lot of parameters every 100ms !!! Here in Greece we organized a group buy and Henk was very helpful with all of us Greek customers. This product is tuned by Henke. I'm very happy after upload into my clio 172. very smooooooth.. from 2k rpm to 7k rpm. But I have suggestion if user can change parameters by themselves. e.g. low fan turn on/off. Anyway,this is the best of tuning tool for my clio 172. Henke is a real pro, very happy with the final result and have had great fun through the whole process. The new .cal file has transformed the car, I am addicted to second gear and will just drive around the block just to keep mashing the loud petal :) This is by far the best BFYB mod for the R26 hands down, couldn't be happier! Aucun francais n a encore écrit son commentaire? Et je vais le faire: -Livraison en france hyper rapide, commandé le dimanche soir et recu le jeudi matin!!! -La programmation est hyper facile: il suffit de lire la notice tres bien faite. Pour les resultats, c'est simple:que du mieux partout avec le fichier GrN.rst.Les mi-régimes sont plus coupleux et le moteur se déchaine jusque 7800trs/min. C'est vraiment pas mal car au delà d une pincée de chevaux supplementaires, vous avez une courbe de couple qui démarre bien plus tot.A partir de 3500/4000trs/min on sent le premier coups de feu, ensuite le &quot;fameux&quot; 5000trs/min, mais là où cela m a bluffé c'est encore un dernier coup de pied à 6500trs/min.On a vraiment l impression qu elle ne s arretera pas de prendre des tours.Et ce n est pas des tours de fillette car le couple est bien là... Ma config est: -Cale injecteur/plenum/papillon retravaillés -Admission style cup -Ligne full decata inox Tout ca sur sur clio 2 rs2 de 2002. Vu le prix, foncez!!!! Een paar uur geleden heb ik m'n auto geflashed met de Group N software, ik ben er zeer over te spreken, ik merk dat de Clio wat &quot;gretiger&quot; is en dat er onderin de toeren ook wat te merken valt. Verder is de software super makkelijk in gebruik en het flashen van de eeprom een koud kunstje. Kortom een zeer leuk speeltje voor een absoluut schappelijke prijs!